We have just had a very busy weekend of birthday parties in our household! I thought I would share the cards that I made for the three gorgeous kids. I took the opportunity to have a play with my latest supplies from the new catalogue. I really love the petite pennants punch and the Big Top Birthday DSP. Hello all! Long time no see!! I am so very excited I have just been lucky enough to get a new DSLR camera…. and it’s fantastic! I thought I would post just a couple of pictures of Miss Ellie. She was a somewhat reluctant model this morning, but with a little bit of bribery I was able to get a few good ones of her. I can’t believe the difference in the quality of the photos, it’s just amazing. I am hoping to do some workshops in the New Year to improve my skills and get the best use out of my camera. I don’t want to use AUTO forever!! Ha Ha! Let me know what you think – I would love your feedback! I am seeking models who are willing to put up with my camera in their face! If you are interested or know anyone who might be, please contact me. I am only a hobby photographer at this stage, but am really keen to expand my skills! Hello Everyone! Thanks for stopping by again! It seems the ‘challenge bug’ has gotten me, and I’ve decided to participate in the Saturday Sketch Challenge over at Stamping 411. 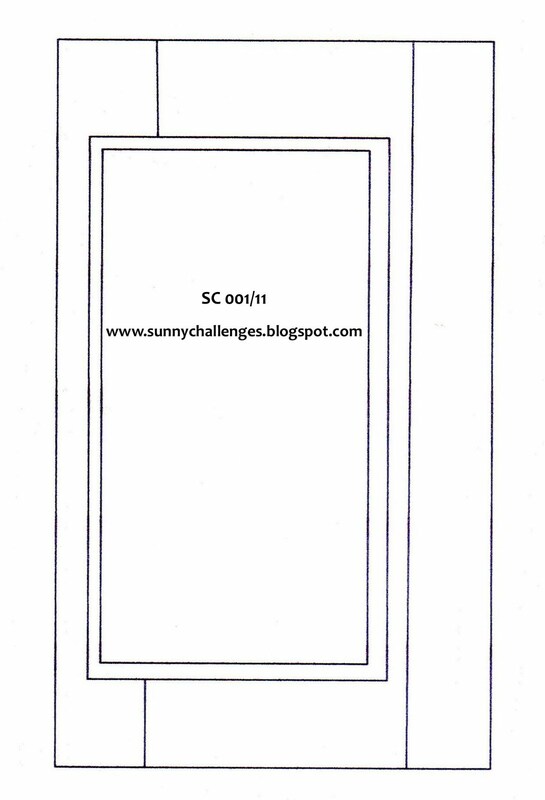 The challenge involves creating a card using this sketch. I am using this card to give to a really good friend of mind who is off tripping around for the next couple of weeks. I just wanted to wish her fantastic time away! I have used Basic Black, Real Red and Whisper White cardstock. The flowers and vines are from SU ‘Vintage Vogue’ stamp set, and the Oprah Winfrey quote is from SU ‘Seaworthy’. 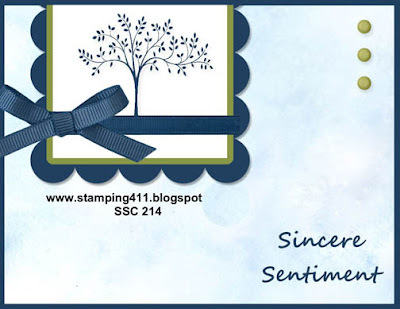 I look forward to participating in some more challenges over at Stamping 411… Thanks for inspiring me ladies! It is a beautiful day here again. 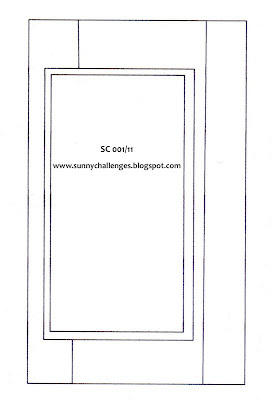 I have finally managed to sit down and make something for a fantastic new challenge site called ‘Sunny Challenges & Creations’. This site has been set up by my incredibly creative mum, Kris, and two other very talented Stampin’ Up! Demonstrators, Gwen & Vicky. The challenge this week was to use this sketch by Gwen, with Stampin’ Up!’s ‘Inspired by Nature’ stamp set. I am not sure if I have met the challenge exactly as I have done a scrap page instead of a card, just because I love to scrapbook! I hope that it’s ok ladies!! I also do apologise for the quality of my photograph – I printed it myself at home (because I am too lazy today to go down and get them printed out!). I have been lucky enough to get a hold of the new Photoshop Elements thanks to my beautiful mum, Kris. So I have been having a bit of a play around with some of the new features. I am not clever enough to use the full version, but I find that Elements works well for me. This is a photograph I took of Ellie a few weeks ago when she decided to rug up in her scarf and beanie. Of course I am totally biased about my children, but I think she looks cute as a button! These are some ‘Thank-You’ cards that I made a few weeks ago as a gift for a friend who is going through a difficult time at the moment. I absolutely love the vintage look so I went with it! I often find it is just as easy to make multiple cards at once as you have out all the supplies anyway. This set was very simple to put together once I decided what I wanted….! Hello…. I’m back, with a new look too!!! Wow, it has been a very busy six months since I was last on here! I guess that’s what happens when you work and have a young family! I am sad to say that I am no longer a Stampin’ Up! demonstrator, but I thought that I would still try and post some of my scrapbooking and cards on here. I also really love photography – the pictures on the header are some that I took of my gorgeous baby girl a few months ago now. So I am hoping to also share with you some of the pictures I take in an attempt to grow as a hobby photographer! I would really love your feedback. Thanks so much to those of you that continue to stop by my blog. I will endevour to get back on here a bit more often…. yeh, famous last words I know!! As per previous posts, Little Miss Popular is at it again, with two birthday parties this weekend!! I thought that it would be nice to do something a little bit different for these two beautiful girl’s 6th birthday’s. And seeing as though Christmas has just been, I figured they would have got lots of amazing shop bought presents! Also another of my New Year’s Resolutions is to be a little stricter on birthday present spending as I am sure Abi went to at least 15 parties last year and that certainly adds up. This year I will have two at school, so it could get very out of hand otherwise!! This is what I made for Abi to give to each of her friends. A bookmark, a little notebook (they love writing little messages now that they are big enough to do so! ), a picture frame to put a photo from their party and a little jar of lollies – YUM! The other item is a cute little tube of bubbles! I did also put in some hair ties and a lip gloss. I hope the birthday girl’s like them! As for a Birthday Card…. Abi is going to use the ones she made herself (previous post)! Those gorgeous Owl’s were made by my very talented ‘sideline’ Shirley @ Stamping Elephants. They were part of a beautiful christmas gift I received from her …. I hope she doesn’t mind me putting them to good use! The gift bag was made using the very popular bag-a-lope design. I love to modify that idea to suit whenever I need it! Again, this is something I did a little while ago, but due to the lack of posts in the past few months, I thought I’d share with you. I have to say that I cased this lot from someone…. and as it’s been such a long time since I did them, I can not remember (I am really sorry). I wish to convey that I take no credit for being original here. But when I saw them, I just had to have a go. I also donated these to the ‘Girl’s Night In’ fundraiser! At which there were lots of ‘School mums’, so hopefully they will come to good use this year! They were quite quick to replicate and look really effective. I think this would make a great workshop class… Hmmm now there’s an idea! Ha Ha This lot have used mostly retired stock, but it would be easy enough to change around. The ‘Celebrations’ DSP would work great – lots of bright colours which always look good on kids cards. Well it has been yet another wet and rainy day in beautiful Queensland!! Thankfully we are not affected by the terrible floods that have left so many Queenslanders devastated. My heart goes out to them all, such an awful awful thing to happen. On a brighter note, my neighbours two little girls (6yrs and 7yrs) stayed over last night as they are good friends with Abi! After way too much Justin Bieber and High School Musical they finally fell asleep about 10pm! So this morning they asked if they could do something crafty. I pulled out a card which I had previously cased from my very talented mum and upline Kris and decided to let them loose with the stamps and punches! I had Abi (6yrs), Ellie (almost 3yrs) and the two girls from next door, and they were all fantastic. I cut them up a ‘kit’ like I do for any other class, so it was pretty straightforward. I think they listened and were more careful than some adults I’ve seen!! It was lots of fun, and now I’m thinking that perhaps I should think seriously about getting a Kids Craft Class running one saturday morning a month….. So these are the three older girls works of art. They each made two cards and a bookmark. Although they did need a bit of help with the crop-a-dile, and with putting the brads through their felt flowers on the bookmarks, they otherwise pretty much made it all themselves. They had great fun too! It is also a good way for me to use up some old DSP and supplies! !